Make sure your body language, words, and tone of voice are all professionally aligned. I remember one time I was told, “I’m sorry, you’ll be much happier with this solution instead,” which made very upset. I wasn’t upset with the fact that he was trying to solve my problem. On the contrary, I would have preferred someone to correct me if I was wrong. His body language showed me otherwise – a person who looked at me as another customer wasting his time. He was already eyeballing the next customer walking through the doors. Always make eye contact with the person(s) you are conferring with. Don’t stare at one person in particular – look at everyone equally. They say that there’s only three degrees of separation between equality (looking squarely at someone), self-centeredness (looking down at someone), and insecurity (looking up at someone with a raised head). Be genuine in your excitement and enthusiasm. Customers are easily influenced by a sales representative who is confident in their sales skills and loves their job. Watch how you speak to people. Try to match the pitch, speed, and volume of the person(s) speaking to/with you. That means, if someone is talking in a quiet voice, you should do the same. Check your attitude problems at the door. Use your positive body language list to reposition your attitude until your mood improves. Listen before talking. The last thing you want is to talk about you and your products/services and how they are great. Perhaps the customer wants something different. You will never know until you ask. Eliminate the “I” in every sentence you say. Replace the “I” with “you”. How will the customer benefit from your products or services? Sales agents should be able to adapt their approach – there is no reason to think that all customers should be approached using the same style. Remember that it takes less then one minute to make an impression with a decision maker. Make the right impression and you will develop trust and get the sale. Develop the wrong impression and you will lose the business to someone else. The surveyed sales managers suggested planning daily activities the night before, which would allow you to get the ground running earlier each and every day. 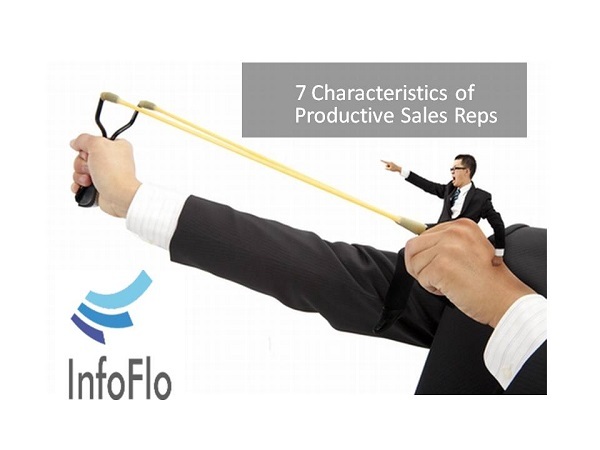 The average time a sales manager sleeps is 7 hours. Several sleep studies cited in a recent WSJ article have also argued that seven hours is the optimal amount of sleep when it comes to various cognitive and health markers. Over 50% of our surveyed sales manager stated that they relied on coffee in order to get into their daily routine. According to FDA, 200-400 mg of coffee is safe enough to drink for the everyday adult. Too much of it can cause restlessness, tremors, irritability and insomnia. Mobile devices are the key to modern sales productivity. Over 75% of sales managers surveyed listed Evernote and their CRM tools as their most used productivity tools. Respect and trust are easy words to say, but much harder to earn with customers. A great sales rep will practice what they preach- they inspire those who matter to them and to whom they matter to through example. Sales reps don’t wait for orders. They’re go-getters and take matters into their own hands. Being disciplined like this helps salesmen to stay on track. If something has to be sold, there is a way to do it. All our sales managers agreed that their CRM tool was important and helped them become productive. The tool helped them organize their prospecting efforts, manage and share tasks, record details about specific customer calls and more.